One beautiful day, Persephone – the daughter of Demeter and Zeus – was strolling in a meadow of flowers. Suddenly, the earth opened up, and Hades – God of the Underworld – seized the maiden, and brought her back to the underworld to be his bride. Her mother’s search for her, the subsequent devastation she wrought upon the earth in her grief, and the joy that Persephone’s ascent brought not just to her mother but to the earth itself is a timeless tale. Of all the myths of Ancient Greece, the Myth of the Abduction of Persephone resonates deeply across cultures and across time. This poignant story is about nothing less than the cycle of life and eternal rebirth, and the spirit that moves us to rejoice in Spring. 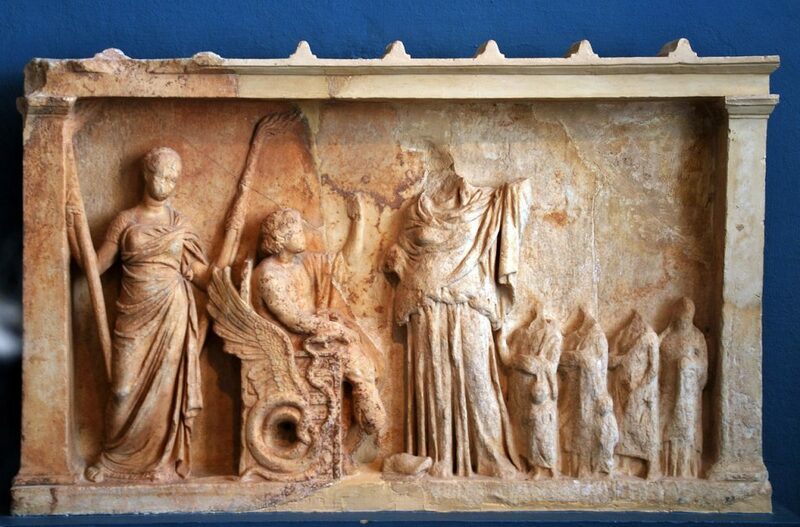 The cult of Demeter and Persephone involved the most sacred secret rites of Ancient Greece. It was based in an older agrarian cult, possibly related to Mycenaean religious practices, and versions of it are found throughout ancient agrarian societies. Eleusis was the center for the cult, as it played a role in the Myth. It was in Eleusis that Demeter took human form and sought to bring her daughter back. Demeter is the Goddess of fertility, of the harvest, of agriculture, of nourishment, and of grain. (In fact, the modern Greek word for grain- “Dimitriaka” – is taken from her name). This also meant that she presided over the sacred law, of birth, death, and rebirth. Demeter was one of the first generation of the Greek Gods, sister of Zeus and of Hera. Her union with Zeus (not so shocking in the world of the ancient Gods) produced Persephone. Persephone grew up to be a beautiful young woman. Hades, God of the underworld and brother to Demeter and Zeus, desired her as a bride. We know that Hades snatched her and carried her way on his chariot, as she was in a field of flowers. In one particularly poetic version of the tale, Persephone was in that field as had been given the task of painting all of the flowers of the earth. The Abduction of Persephone is a powerful theme that has inspired artists throughout time. It as given us some of the most enduring and emotive works of western art. Under the surface of the earth now, Persephone had vanished without a trace. Demetra sought her daughter, but in vain. She appealed to Helios, God of the sun- who, riding across the skies in chariot saw all things that happened on earth. The Goddess was seized with grief, and then with rage. She expressed it by halting the seasons, and the growth of all living things. Soon, mortals faced extinction. Zeus was forced to intervene, motivated in some versions not so much by compassion but by the fact that if there were no mortals, there would be no one to worship the Gods and make offerings at their temples. He sent Hermes to take Persephone back. Hades consented to let Persephone go, but her departure from Hades was conditional. Had she eaten any food from the House of the Dead, Hades would continue to have influence over her. Here, again, the story has different versions. 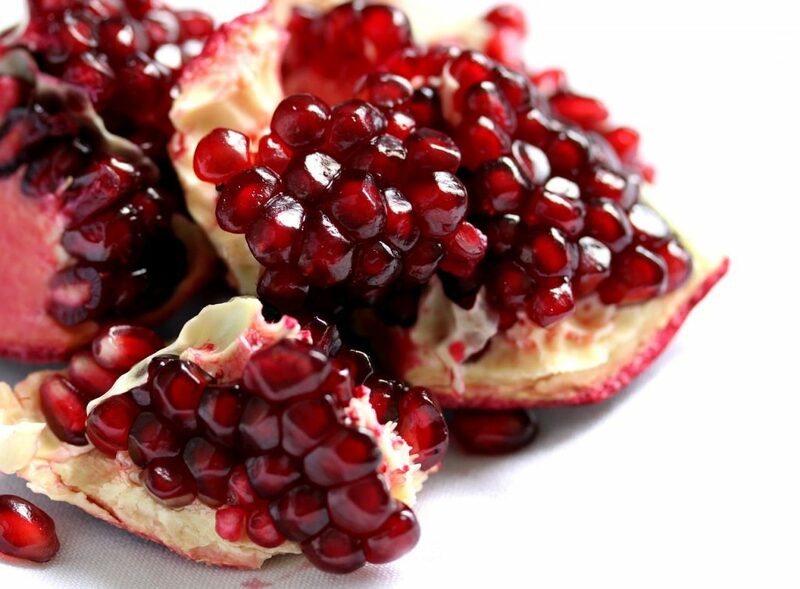 In some, Hades had forced her to eat some pomegranate seeds. In others, she ate them secretly, but perhaps willingly. Her return to the light was therefore provisional; she would be reunited with Demeter for a time, and would then return to Hades. But, just as spring follows winter, Persephone would be reunited with her mother Demeter again each year. The Myth of Demeter and Persephone touches us deeply because at its heart is the love of a mother for her child. Deprived of her daughter, sick with worry and grief, Demeter wrought an endless winter, a metaphor for the coldness of her heart. 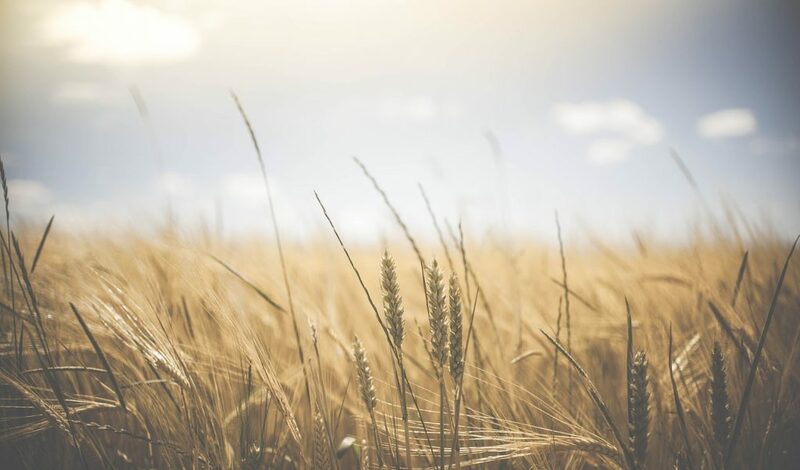 As Demeter rejoiced at their reunion, the earth itself rejoiced, giving us once again the abundance of nature, fields of flowers, and a harvest of plenty. The cycle of life, death, and rebirth – the heart of the Eleusinian Mysteries – is a timeless subject of fascination and meaning. 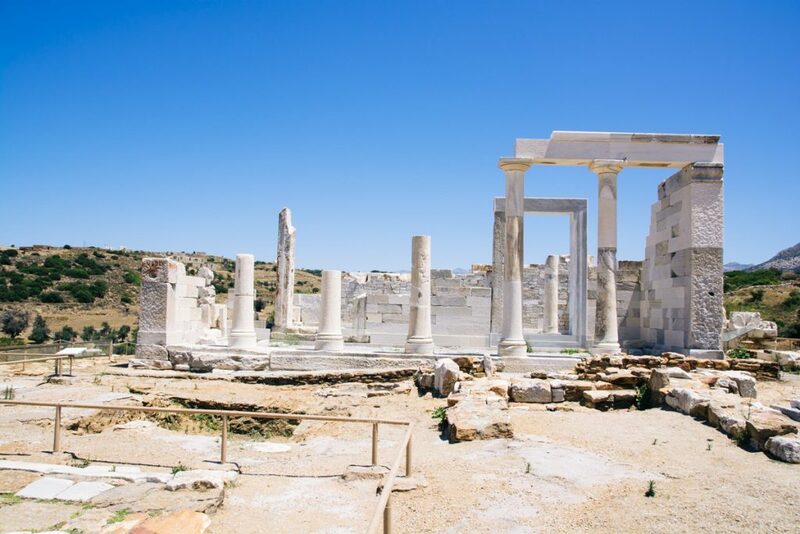 Just as the myth of Demeter and Persephone and the Eleusinian Mysteries were central to the spiritual life of Ancient Greece, the spiritual life of modern Greeks reaches its most solemn and joyous moments in Spring. 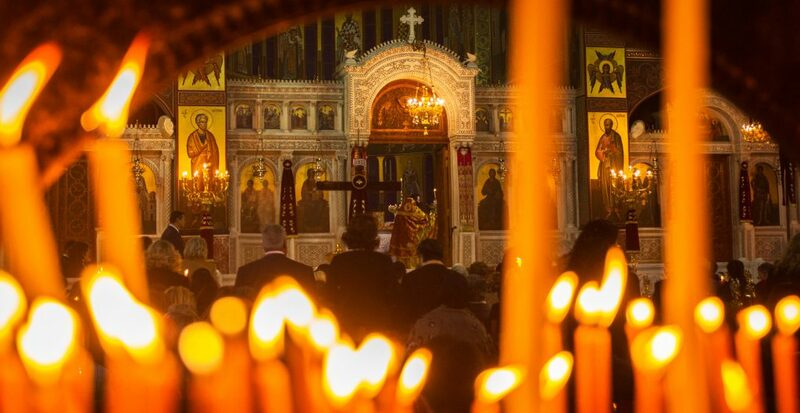 The week that precedes Easter in Greece is a time of contemplation and of mourning. Then, the moment of Christ’s resurrection is celebrated with bells at midnight, as the light of the resurrection spreads its joy throughout the crowd, from candle to candle. Easter day is spent in joy and gratitude, in the sun-kissed warmth of Spring as the earth wakes up again. Easter – the promise of rebirth amid a season of growth – awakens a depth of feeling in the contemporary Greek soul. The theme of eternal rebirth, central to the Myth of Demeter and Persephone, still resonates with meaning in modern Greece.